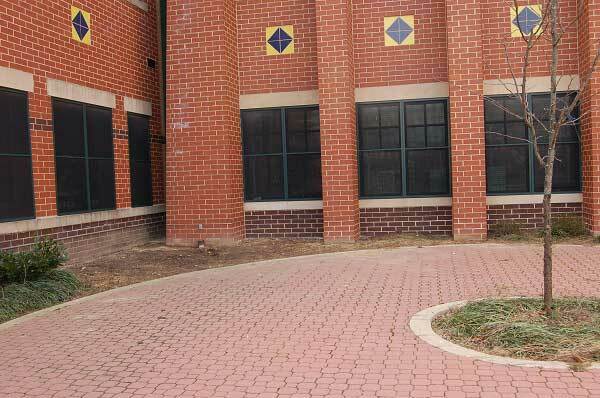 Courtyard area to be replanted with native plants to increase habitat and diversity. Patterson Elementary School, located at 4399 South Capitol Terrace SW, serves 368 students PK through 6. Approximately 97% of the students are African American, 2% are White, and 1% are Hispanic. Fifty four percent of the students are considered economically disadvantaged. The new building has a large courtyard planted with nonnative plants. Most of the current plants are in decline or dead. We, in cooperation with Living Classrooms of the National Capital Region and the school, are removing the nonnative plants and replacing them with native plants that are better adapted to our environment and provide greater wildlife value. Living Classrooms’ educational program accompanies this greening project.